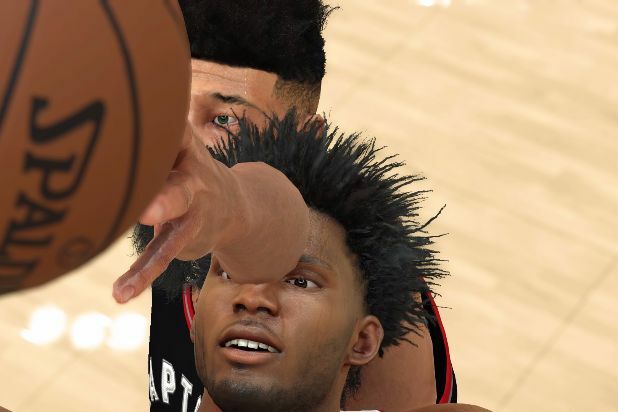 One of my favorite ways to pass the time is to play the latest iteration of "NBA 2K" and take screenshots of moments in which players break through each other -- a concept known as "clipping though." To my great delight, this occurs in "NBA 2K17" just as often as it has in previous entries in the series, and these are the best shots I've taken in its first week of release. 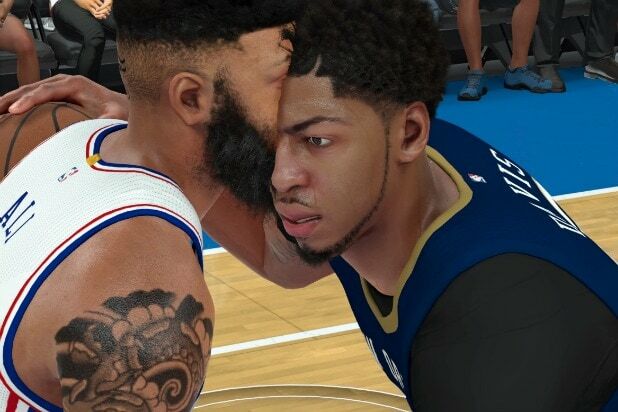 Superstar Anthony Davis gets more than he bargained for when my created player attempts to kiss him on the forehead. Spotted in "NBA 2K17": sort of a unicorn, but with a human arm sticking out of his forehead instead of a horn. My man takes an arm through his chin, like a movie villain getting killed by Gerard Butler. There are few things you can do in life that are as peaceful as when your head is used as somebody else's shoulder. Although if you incorrectly use your head as someone else's shoulder... it can be pretty alarming. TFW you're secretly spying on your giant son and accidentally get too close. Yes, that is Michael B. Jordan -- he co-stars in the MyCareer mode in "NBA 2K17." 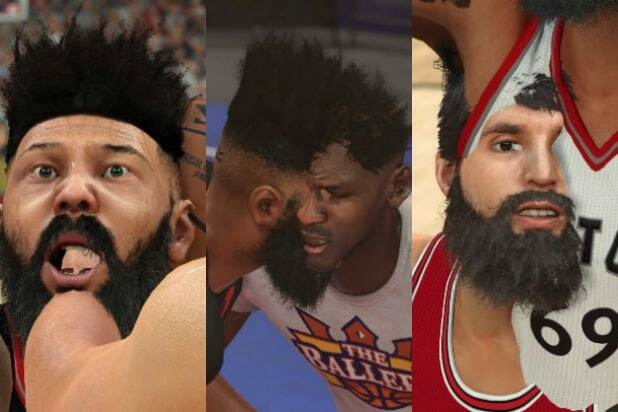 This is, without a doubt, my favorite style of horrifying clipping images in "NBA 2K17": a face just starting to emerge from someone's skin. Although this one, of that same face fully emerging, is pretty delightful as well. Confirmed: you cannot absorb Michael Jordan's abilities by sticking your face inside his face. The merging of my created player and Chicago Bulls star Jimmy Butler resulted in the most novel iteration of Spider-Man yet. Note the way Nikola Mirotic's hair looks like an extension of the other player's armpit hair. Whatever horror artist uses the back-head as a somehow more upsetting variation on Kuato from "Total Recall" would deserve untold riches. Any joke I would make about this would be inappropriate, but I'm sure you can come up with one for yourself. It's not just players getting in on the graphics-breaking fun -- these fans, reaching for a loose ball that's hurtling their direction, render that man in the middle catatonic. Yes, that is Goran Dragic's nose emerging from the Eye of Horus tattoo on the back of my dude's head. This is what it looks like when two heads fully merge. It's beautiful. That's an odd place to grow hair, but who are we to judge?